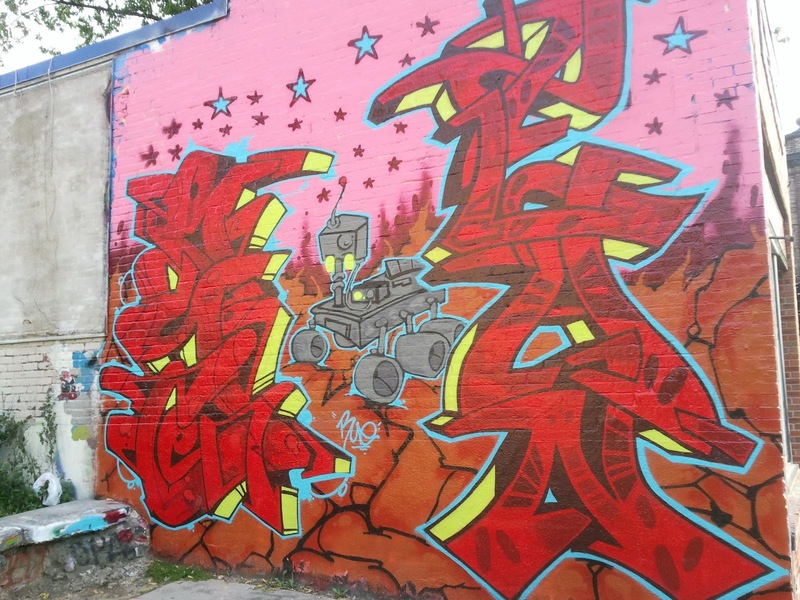 A graffiti wall to honor the Mars rover Curiosity. Science + art = the best. Blue and pink corgi sticker (?) 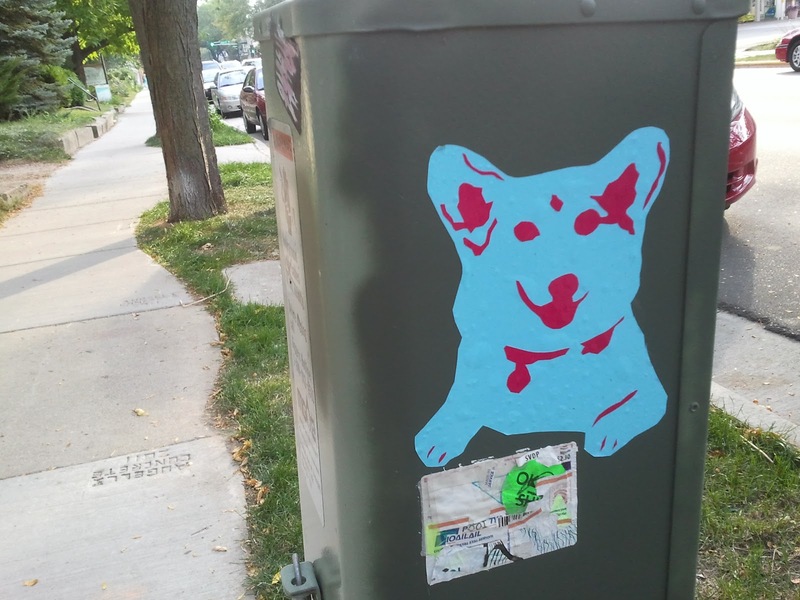 on Willy St. - really brightens/adorables up the neighborhood. Gotta love the isthmus. 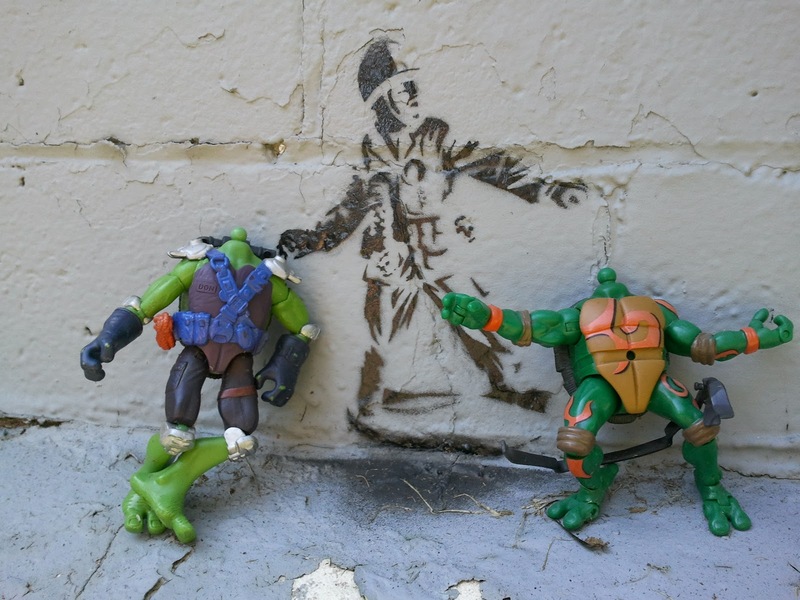 Found this charming little tableau on E. Wilson while biking from work yesterday - I'd miss these things entirely if I spent more time in a car, frankly. 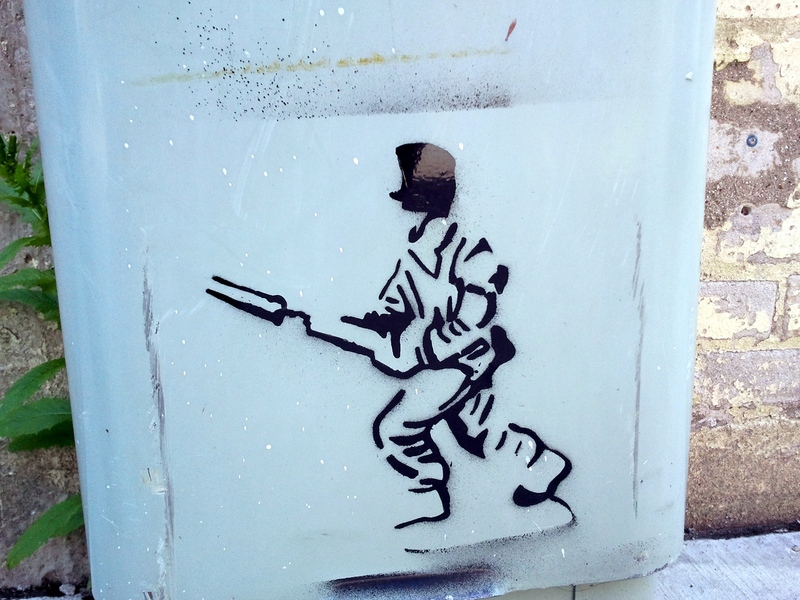 Kind of an old-timey soldier thing going on here - pretty sure the artist is USB, because one of their logos was right about this stencil, but I could be wrong (correct me if you know better: madstreetart AT gmail.com). A cool little piece, nonetheless. 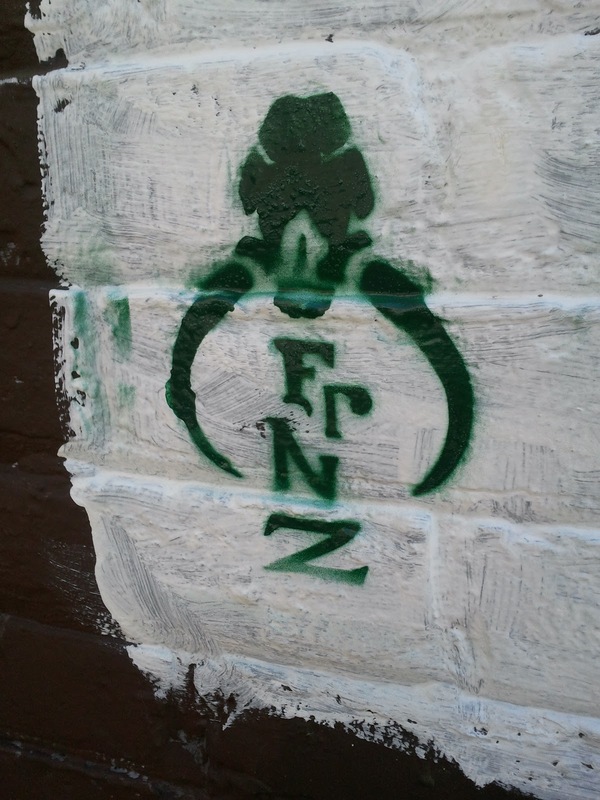 The funny thing is that this tag appears to have been done on top of a hastily applied layer of paint hiding some older graffiti on this wall.